I was playing around the other day with some dessert ideas and put together my interpretation of Baba al rum. I made the baba bread, soaked it in a rum syrup, and broke it. 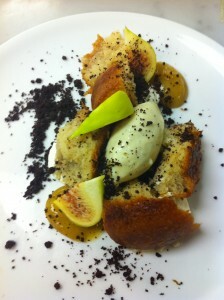 Underneath is lightly sweetened ricotta mousse (the syrup is very sweet), and fig puree. 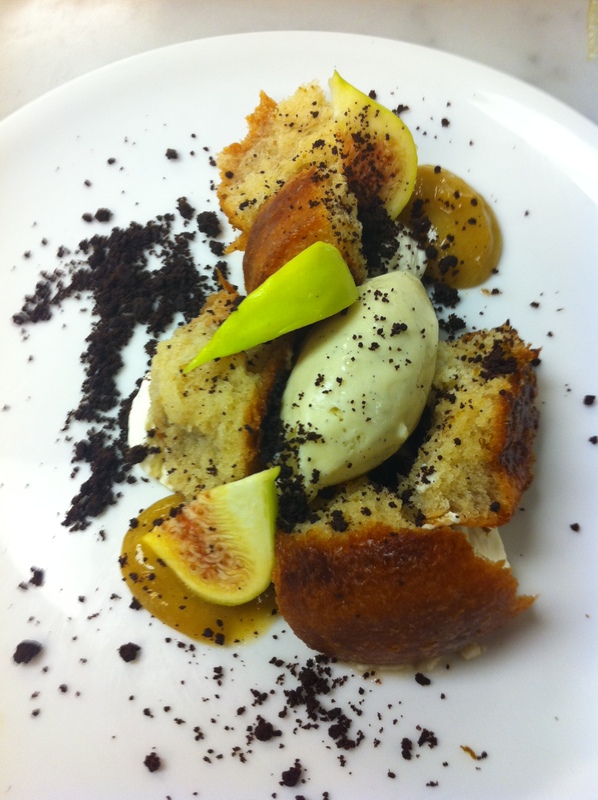 I served it with fresh fig, vanilla gelato and some chocolate cookie bits.